When you have exhausted your list of things to do in Shenzhen and finally get to take off time from work for a long-overdue weekend getaway, you’ll want to savor every last minute of it by hiking. For nature lovers living in Shenzhen, there is always a choice for a bit of travel — Hong Kong, and you can do it with a group of people who share the same interest. Hiking in Hong Kong is is the best way to get outdoors and socialize with people of all nationalities. Hong Kong, located right next to Shenzhen, is endowed with bright sunshine, soft beaches, limpid seawater and hot weather all the year round. It enjoys a long and winding coastline, which gives birth to dozens of bays and beaches. Sheltered by mountains with hiking trails, many of them are unruffled and free from strong wind. Oswaldo Loor from Ecuador got an invitation of hiking in Hong Kong from Ye Wenhao last May, who was organizing hiking trips at that time. Interested in the trip though, Loor at the end still wanted to go to a beach in Hong Kong with his Latin friends. Ye told Loor that he could organize a trip to the beach if more than 28 people joined, which was enough for renting a whole bus. That said, Loor started to promote the beach trip and successfully got 56 people to join it. The beach they went to is Sai Wan Beach, which has been described as one of the best scenic spots in Sai Kung East or even Hong Kong. The beach features white sand and clear blue waters, which is attributable to its relative inaccessibility. “The first time we went to Sai Wan Beach was so much fun. We jumped the cliff, bathed in the ocean and all. The people were really happy. We were a mixed crowd of Chinese and expats. They really enjoyed it and thanked us for organizing the trip” said Loor, who was so happy and decided to organize more trips with Ye. 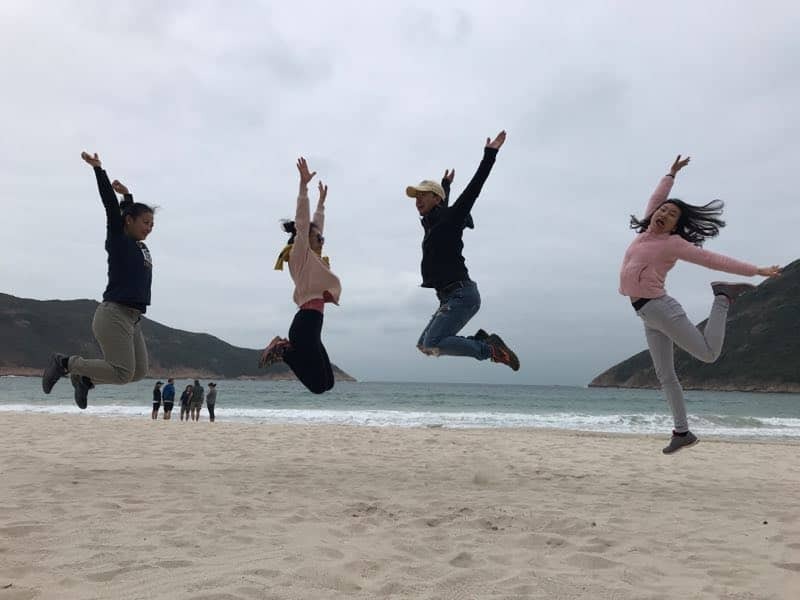 Up to now, they have organized about ten trips, including trips to Sai Wan Beach in Sai Kung Peninsula, MacLehose Trail Section 1 & 2, Suicide Cliff at the south of Kowloon Peak, and Sunset Peak. Loor said they organize at least two trips every month, mostly on the weekend. Every time, around 28 people join the trip. During the trip, you can not only enjoy the stunning natural scenery and burn some calories sweating out, but also meet new friends from different countries, talking, dancing, swimming, jumping and camping out. All people are welcome to join their Hong Kong trips, which cost only a bit of money but return tons of fun, a great recharge of energy and an ignition of passion for life. 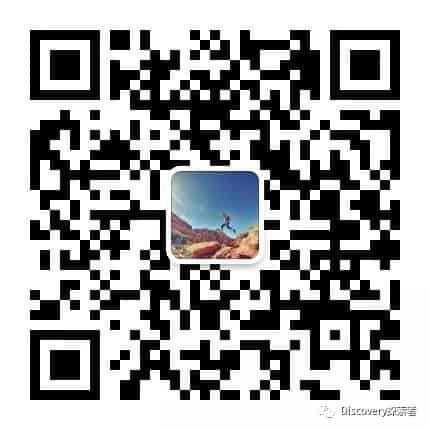 If you are interested to know more about their hiking trips add Oswaldo on WeChat, his user is: osloor and join also their hiking WeChat group with around 400 members. Long-press the QR Code, tap “Extract QR Code” to Follow “Discovery” on Wechat for more information. Look for more hiking events on our event calendar. Join our Shenzhen meetup group for more cross border hiking event notifications. Read our article about hiking in Shenzhen and Shenzhen mountains.